Enjoy the best inspirational, motivational, positive, funny and famous quotes by Anna Olson. Use words and picture quotations to push forward and inspire you keep going in life! I have a rule: before I can throw anything out, I have to write down five possible uses for it. 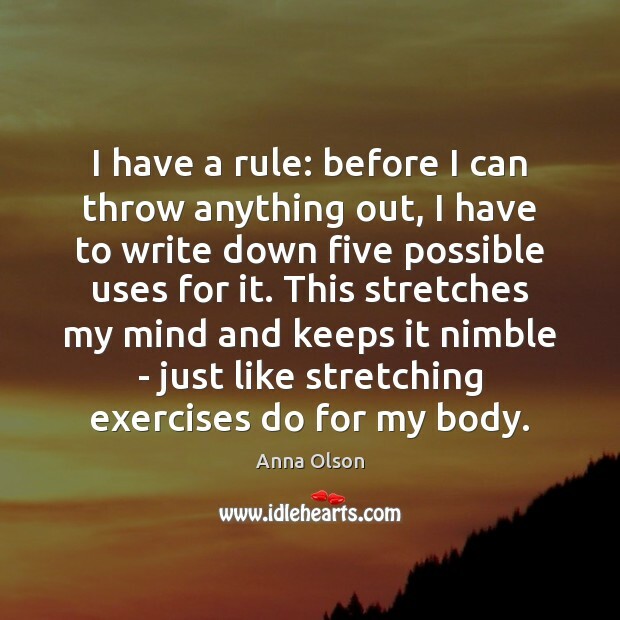 This stretches my mind and keeps it nimble - just like stretching exercises do for my body. 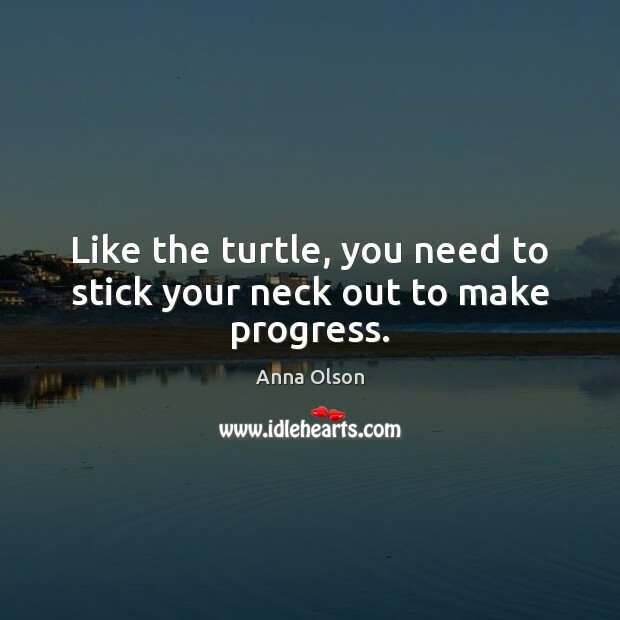 Like the turtle, you need to stick your neck out to make progress. 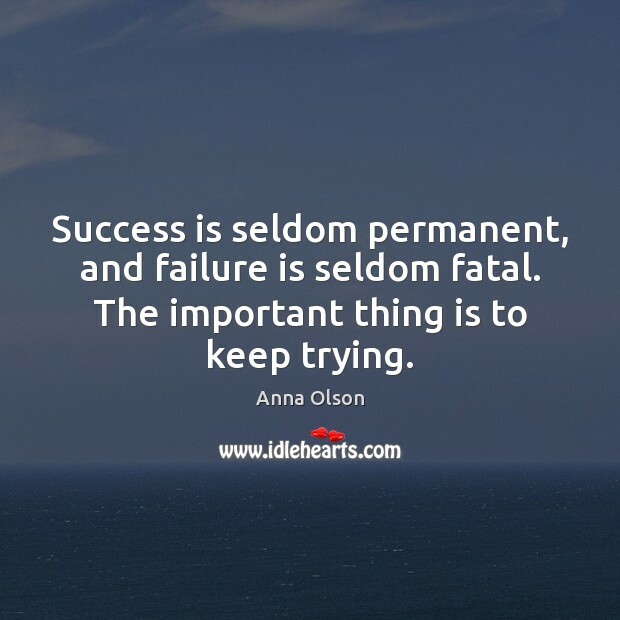 Success is seldom permanent, and failure is seldom fatal. The important thing is to keep trying. 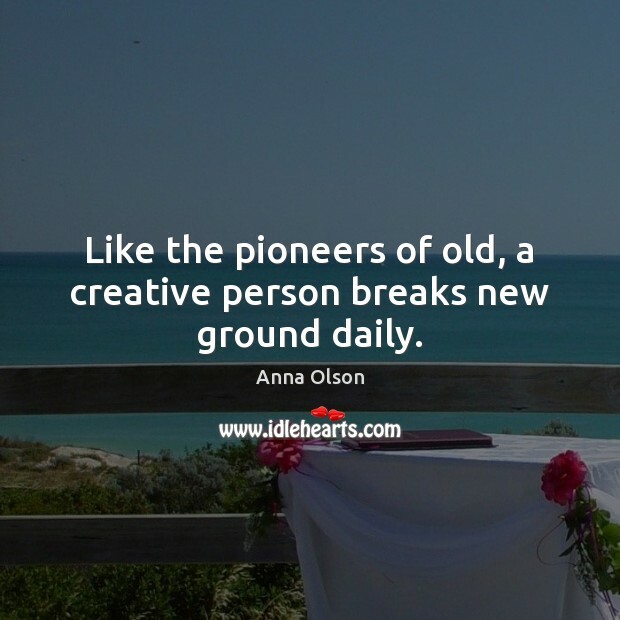 Like the pioneers of old, a creative person breaks new ground daily. 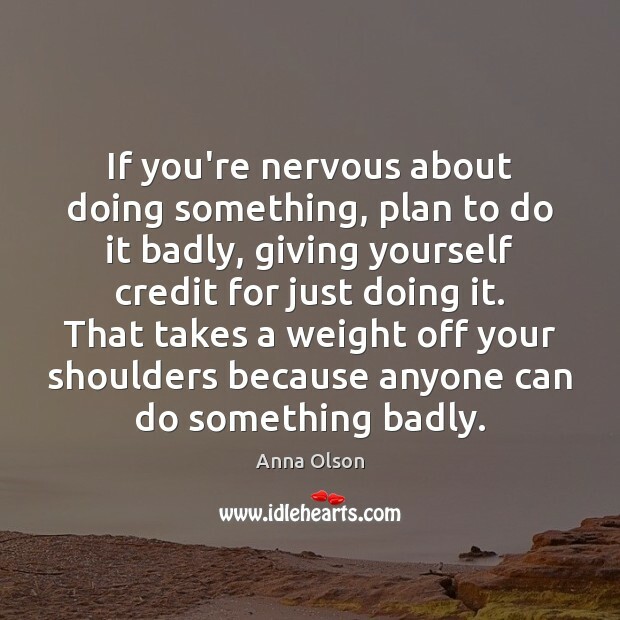 If you're nervous about doing something, plan to do it badly, giving yourself credit for just doing it. That takes a weight off your shoulders because anyone can do something badly. 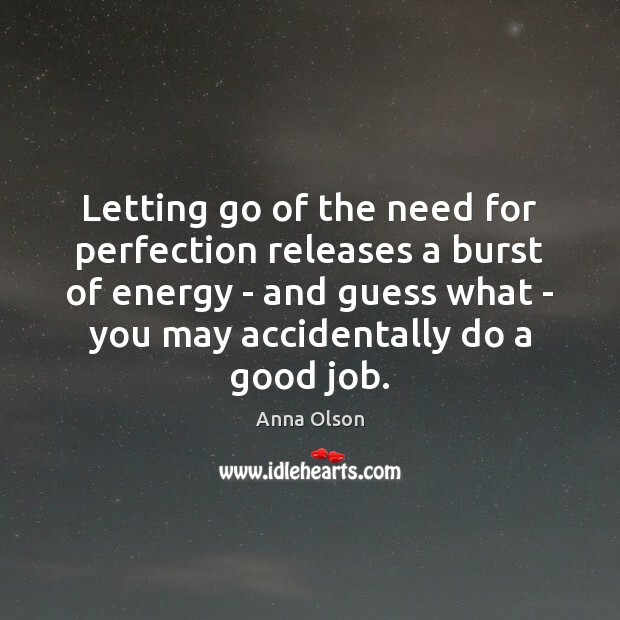 Letting go of the need for perfection releases a burst of energy - and guess what - you may accidentally do a good job. 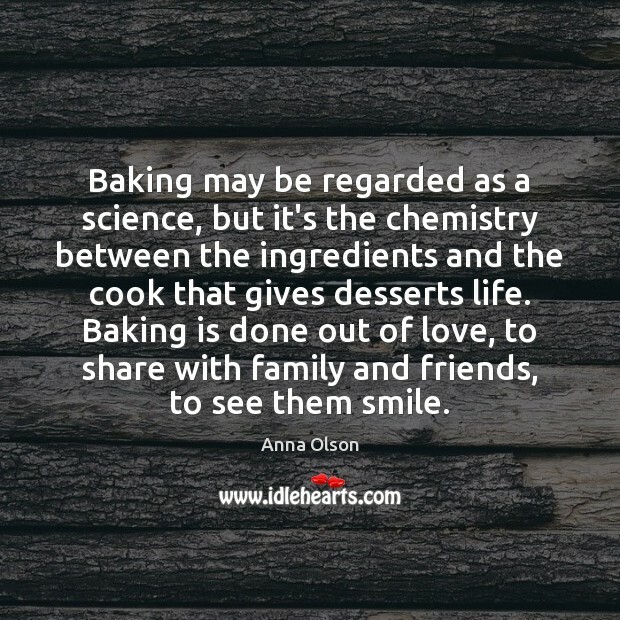 Baking may be regarded as a science, but it's the chemistry between the ingredients and the cook that gives desserts life. Baking is done out of love, to share with family and friends, to see them smile. 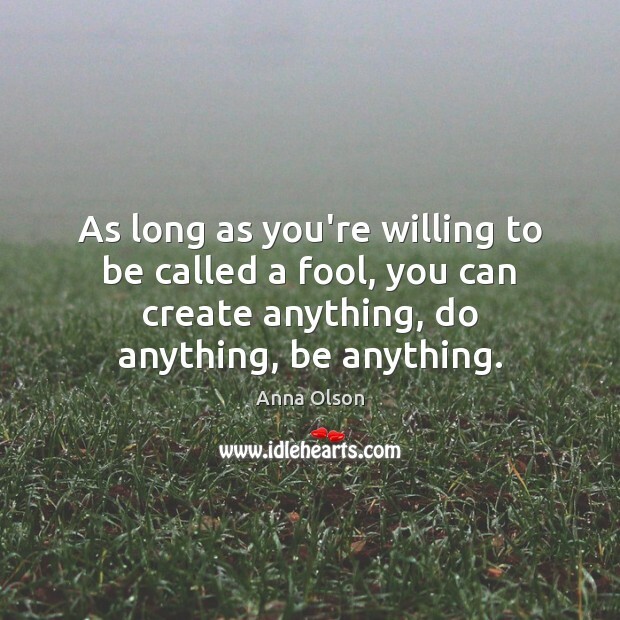 As long as you're willing to be called a fool, you can create anything, do anything, be anything. 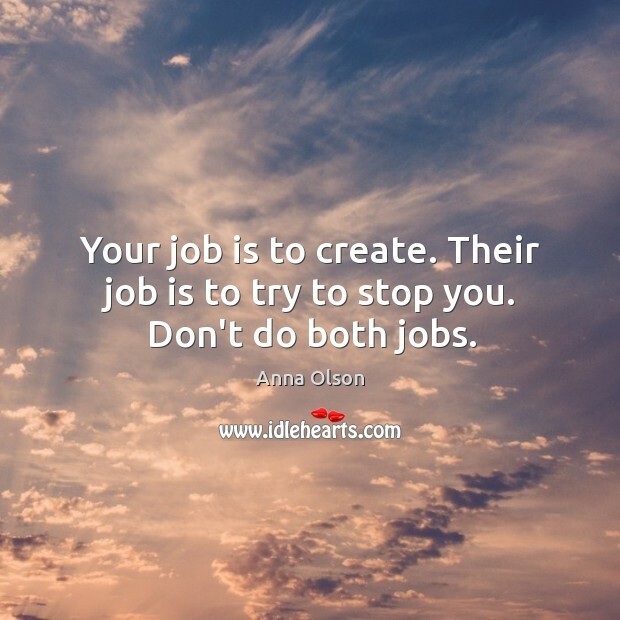 Your job is to create. Their job is to try to stop you. Don't do both jobs.